What could be better in a city that loves to shop than a shop that has a little bit of everything? Department stores in Hong Kong are still going strong. Alongside brands that have made their name locally, such as Lane Crawford, are headline-grabbing imports like Sogo and Harvey Nichols. Most department stores sell a little bit of everything, from homewares and pottery to high fashion from the catwalk. At Lane Crawford, you'll find many exclusive clothes collections, while Shanghai Tang and Yue Hwa offer the chance to buy exclusive local designs. 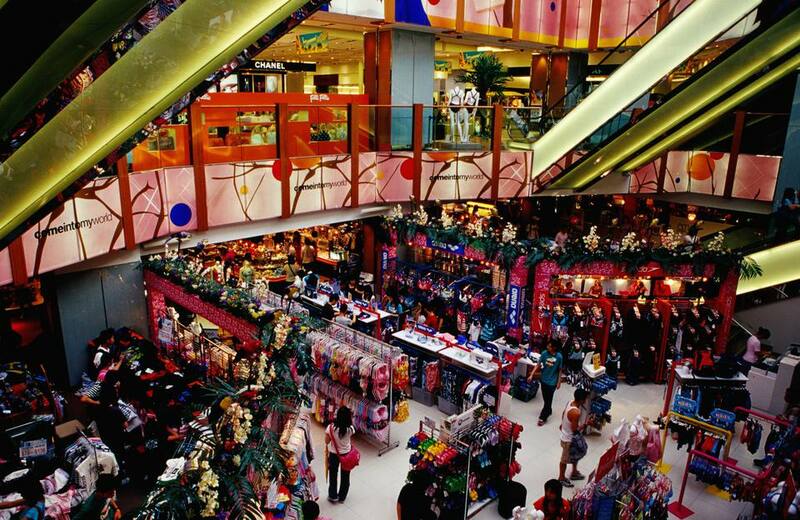 Below we've picked our favorite Hong Kong department stores. Hong Kong's very own slice of Rodeo Drive with the prices to match, Lane Crawford was set up in Hong Kong back when the city started life as a colony. Originally a ship chandler when it first opened in 1850, the shop quickly went on to become the destination to go to for governors, captains and the rest of the city's colonial elite. Today, Lane Crawford's department stores are dominated by fashion, with clothes, handbags, and shoes that come straight from the catwalks of Milan and Paris. Traditionally filled with the best of European designers, Lane Crawford is doing more lately to promote up and coming local designers as well. The store has four flagship stores in Hong Kong – all in malls. The biggest are at IFC Mall and Canton Road (Harbour City mall) in Kowloon, both of which have homewares as well as fashion. Before the war and well before the communists Shanghai was renowned for its a style – offering an oriental twist on the Parisian art deco style of the 20s and 30s. Shanghai Tang captures the spirit of that era with traditional cuts of men and women's clothes, such as knot button dresses and cheongsams stamped with simple imperial designs. These are grand ball clothes rather than wear to the office but their beautiful and distinct designs have caught the eye of the rich and fashionable - with outposts popping up in London, Tokyo, and New York. The Shanghai Tang flagship department store can be found on Pedder Street in Central. Mirroring the city's obsession with everything and anything Japanese, Sogo landed here back in the eighties and has seen its door revolving with customers ever since. This is a department store in the truest sense, and while the twelve floors at its flagship branch lean towards fashion you'll find just about everything else as well such as homeware, cosmetics, and electronics. It's not cheap, and many of the international labels can be found for less elsewhere, but there are headline-grabbing Japanese brands that you can only find at Sogo. The Causeway Bay branch of the department store is by far the biggest. The best of British. Harvey Nichols is where London's aristocracy come to stock up on cravats and jam. The Knightsbridge branch remains a bastion of premium goods and well-heeled customers. Well... put the words luxury and shopping together and you've got a recipe for success in Hong Kong. Originally opened in the swanky Landmark Mall in Central the two-floor flagship store can now be found in Pacific Place in Admiralty. It features men and women's fashion, cosmetics and jewelry. Many of the brands and lines available are unique to Harvey Nichols and the excessive price tags reflect that. Completely focussed on traditional Chinese products and a refreshing break from the high-end fashion that dominates at other Hong Kong department stores, Yue Hwa is a little like walking into Chinatown. Stuffed from floor to ceiling with a range of products that is as wide as it is eclectic, half the stuff here is rubbish and the other half is priceless – almost all of it is unique. There's an extensive selection of traditional Chinese medicine, from Ginseng to foul-tasting herbal brews, fine silks and embroidery, bedding with Chinese designs and wooden and clayware gifts. It's the perfect place to pick up a reminder of your trip to Hong Kong or for a top quality gift or two. The flagship store is at the junction of Nathan Road and Jordan Road in Kowloon.